Fo r ten years, I made my living weaving cloth on a floor loom. 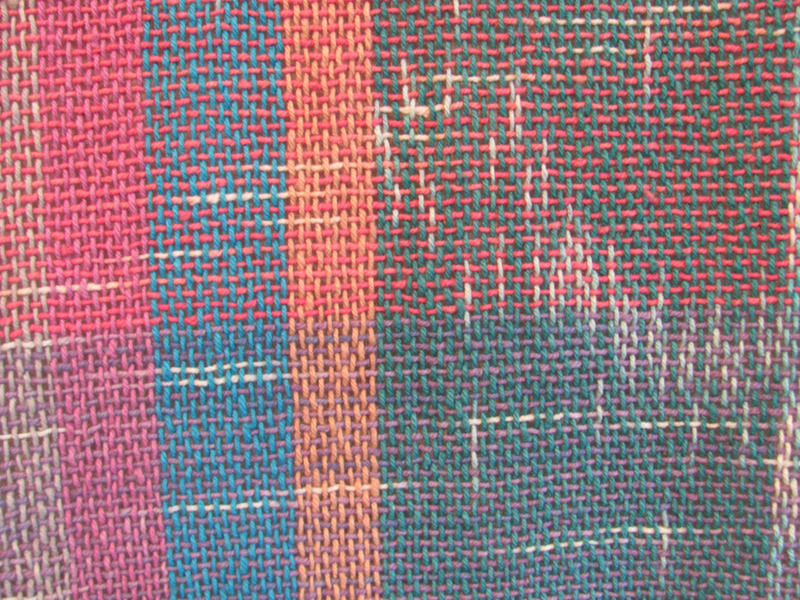 In weaverly lingo, cloth is made up of warp threads (threaded lengthwise on the loom) and weft threads (woven crosswise on the loom). The interlacing of these lengthwise and crosswise threads creates the fabric. Out of these, we weave whole cloth–the very cloth that veils our true nature. It feels substantial and serves us well, often for many decades. Until it gets in the way, wears thin, or just plain breaks down. We know when this happens. The veil we have woven unweaves itself in a wild and miraculous way. This unraveling may take a very long time, or it might fall apart in our hands. Either way, it can be quite disorientating. The fact is, it is simply not needed any longer. Wow, I had posted that only five minutes before! Have a great Thanksgiving, Kathy. Yes, this unraveling is a wonder to experience and to witness in those who appear as ‘others’ Beautifully expressed Amrtita – thank you.